Long gone are the days when a visit to the barber meant a ‘short back and sides’. Modern men have so many options with hundreds of hairstyles, including even where to go, to get a haircut. With the rise of boutique style barber shops, getting a trim is more of an experience rather than a chore. Choose from the traditional nostalgic barbers, to boutique men’s grooming salons that offer beer, a game of pool and sports channels, the options are endless. 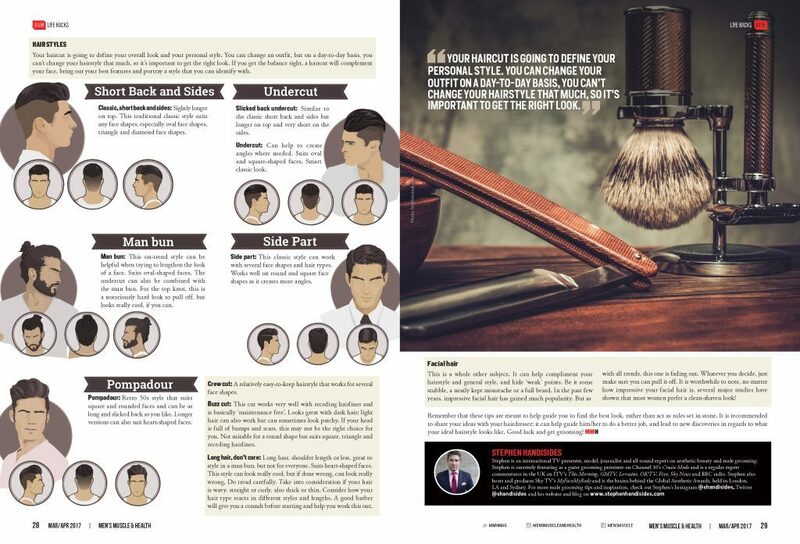 But with all this choice can come confusion, so in this issue of Life Hacks, I’m going to help you navigate the minefield of styles for your ‘barnet’ (cockney rhyming slang for hair). How to find the right do for you! 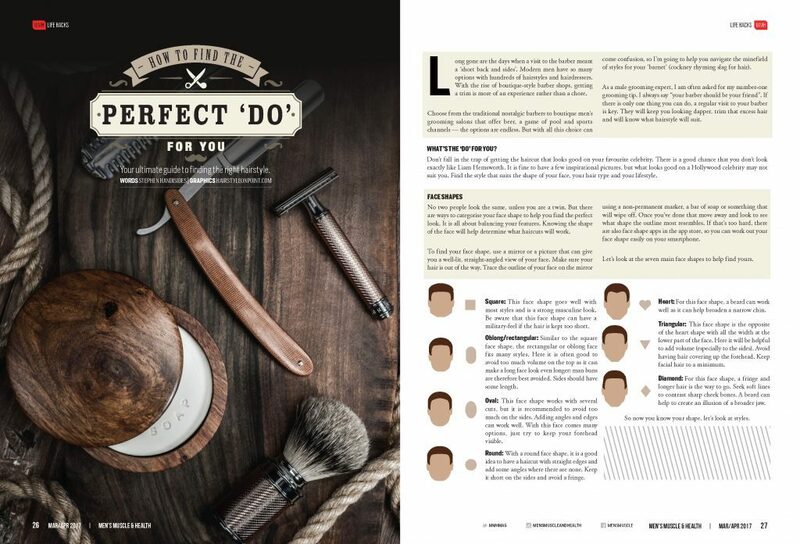 As a male grooming expert, I am often asked for my no.#1 grooming tip. I always say ‘your barber should be your friend’. If there is only one thing you can do, a regular visit to your barber’s key. They will keep you looking dapper, trim that excess hair and will know what hairstyle will suit. So what’s the ‘do’ for you? Here are my top tips to help you find the right hairstyle. Firstly, don’t fall in the trap of getting the haircut that looks good on your favorite celebrity. There is a good chance that you don’t look exactly like Liam Hemsworth. It is fine to have a few inspirational pictures, but what looks good on a Hollywood celebrity, may not suit you. Find the style that suits the shape of your face, your hair type and your lifestyle. No two people look the same, well unless you are a twin. But there are ways to categorize your face shape to help you find the perfect look. It is all about balancing your features. Knowing the shape of the face will help determining what haircuts will work. To find your face shape, use a mirror or a picture that can give you a well-lit, straight-angled view of your face. Make sure that your hair is out of the way. Trace the outline of your face on the mirror using a non-permanent marker, a bar of soap or something that will wipe off. Once you’ve done that move away and look to see what shape the outline most resembles. If that’s too hard, there are also face shape apps in the app store, so you can work out your face shape easily on your smartphone. Ok, so let’s look at the seven main face shapes to help find yours. This face shape goes well with most styles and is a strong masculine look. Be aware that this face shape can have a military-feel if the hair is kept too short. This face shape works with several cuts, but it is recommended to avoid too much on the sides. Adding angles and edges can work well. With this face, comes many options, just try to keep your forehead visible. Similar to the square face shape, the rectangular or oblong face fits many styles. Here it is often good to avoid too much volume on the top as it can make a long face look even longer; man buns are therefore best avoided. Sides should have some length. With a round face shape, it is a good idea to have a haircut with straight edges and add some angles where there are none. Keep it short on the sides and avoid a fringe. For this face shape, a beard can work well as it can help broaden a narrow chin. This face shape is the opposite of the heart shape with all the width at the lower part of the face. Here it will be helpful to add volume (especially to the sides). Avoid having hair covering up the forehead. Keep facial hair to a minimum. For this face shape, a fringe and longer hair is the way to go. Seek soft lines to contrast sharp cheek bones. A beard can help to create an illusion of broadening the jaw. So know you know your shape, let’s look at styles. Your haircut is going to define overall look and your personal style. You can change an outfit, but on a day to day basis you can’t change your hairstyle that much, so it’s important to get the right look. If you get the balance right, a haircut that will complement your face, bring out your best features and portrays a style that you can identify with. Classic, Short back and sides – slightly longer on top. This traditional classic style suits any face shapes, especially oval face shapes, triangle and diamond face shapes. Slicked back undercut – similar to the classic short back and side but longer on top and very short on the sides. Undercut – Can help to create angles where needed. Suits oval and square shaped faces. Smart classic look. Man bun – This on trend style, can be helpful when trying to lengthen the look of a face. Suits oval shaped faces. The Undercut can also be combined with the man bun, for the top knot, this is a notoriously hard look to pull off, but looks really cool, if you can. Side part – This classic style can work with several face shapes and hair types. Works well on round and square face shapes, as it creates more angles. Pompadour – retro 50’s that style suits square and rounded faces, and can be as long and slicked back as you like. Longer versions can also suit heart shaped faces. Crew cut – A relatively easy to keep hairstyle that works for several face shapes. Buzz cut – This cut works very well with receding hairlines and is basically ‘maintenance free’. Looks great with dark hair, light hair can also work, but can sometimes look patchy. If your head is full of bumps and scars, this may not be the right choice for you. Not suitable for a round but suits square, triangle and receding hairlines. Long hair, don’t care – long hair, shoulder length or less, great to style in a man bun, but not for everyone. Suits Heart shaped faces. This style can look really cool, but if done wrong, can look REALLY wrong. Do tread carefully. Take into consideration if your hair is wavy, straight, or curly, also thick or thin. Consider how your hair type reacts in different styles and lengths. A good barber will give you a consult before starting and help you work this out. Facial hair is a whole other subject. It can help compliment your hairstyle and general style and hide ‘weak’ points. Be it some stubble, a neatly kept moustache, or a full beard. In the past few years, impressive facial hair has gained much popularity. But as with all trends, this one is fading out. Whatever you decide just make sure you can pull it off. It is worthwhile to note, no matter how impressive your facial hair is, several major studies have shown that most women prefer a clean shaven look! Remember that these tips are meant to help guide you to find the best look, rather than rules set in stone. It is recommended to share your ideas with your hairdresser; it can help guide him/her to do a better job, and lead to new discoveries in regards to what your ideal hairstyle should look like. Good Luck and get grooming! 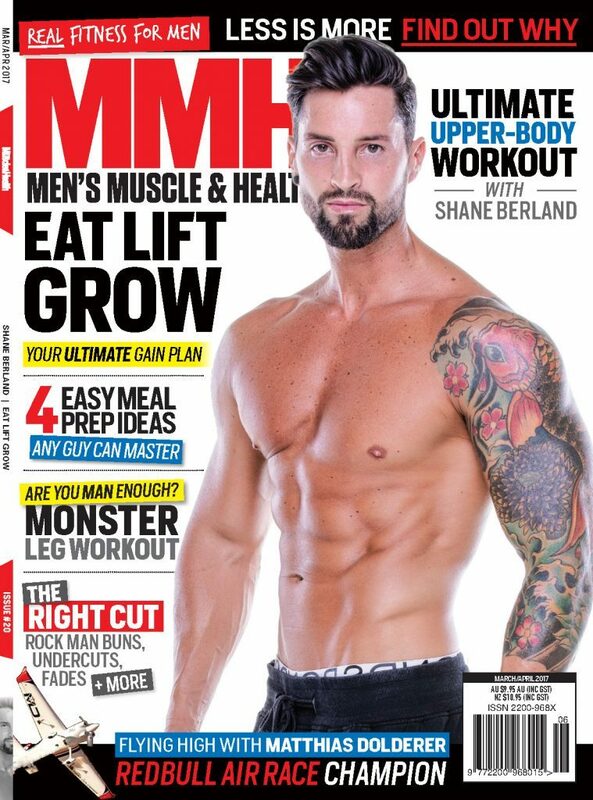 Stephen Handisides is an international TV presenter, model, journalist and an all-round expert on Aesthetic Beauty and Male Grooming. Stephen is currently featuring as a guest grooming presenter on Channel 10 Cruise Mode and is regular expert commentator in the UK on ITV’s This Morning, GMTV, Lorraine, OK!TV, Five, Sky News, and BBC radio. 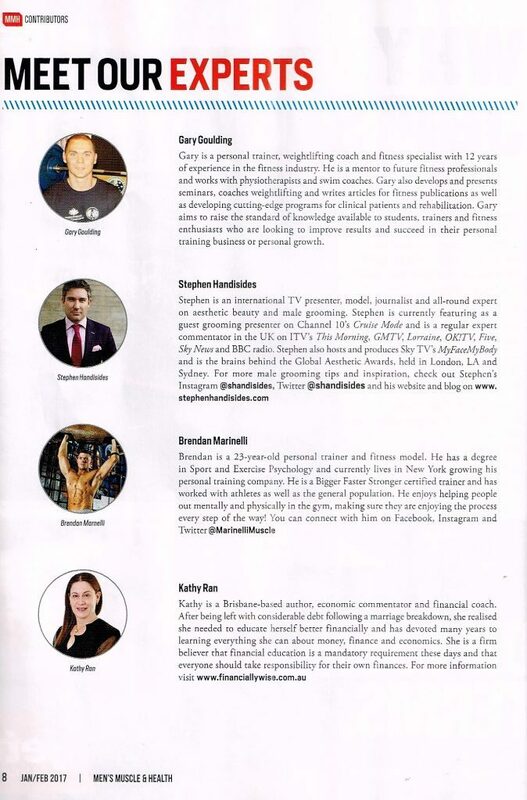 Stephen also hosts and produces Sky TV’s MyFaceMyBody and is the brains behind the Global Aesthetic Awards, held in London, LA and Sydney.